Preconception Care – The responsible choice for your child’s future! Many expecting parents place great emphasis on preparing the nursery room for the arrival of their new baby. We desire our babies to be safe, surrounded by a clean space that provides a peaceful and loving atmosphere. 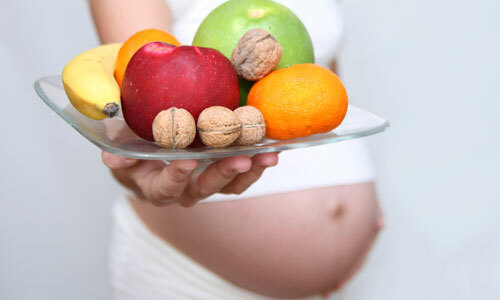 How many of us have considered preparing our body for pregnancy like we prepare the nursery? Preconception care is one of the most loving and responsible choices you and your partner can make together. Your baby’s first nursery is your body. Would you put your newborn baby in a dirty bed with unclean sheets and blankets full of dust? I think not! We all want the best for our children, putting your focus on good health and nutrition before you conceive is vital. Preconception care optimizes healthy pregnancy outcomes and your child’s physical, mental and emotional health. What you do for a few months can have lifelong benefits for you and your child! The preconception window is defined as the time preceding, during and following the moment of conception. Preconception care should ideally begin at least 4-6 months prior to attempted conception. This time period is important because the sperm and eggs being released at present have been exposed to all the toxins that the male and female have been exposed too. In fact it takes 3 months for females eggs to mature and 4 months for sperm to mature. A growing body of scientific evidence suggests that environmental and lifestyle factors play an important role in fertility. In particular, the evidence focuses on dietary antioxidants, and the effects of oxidative stress (cell damage) on timing and outcomes for a viable pregnancy. For instance, studies on men have indicated that diet appears to be crucial in preventing oxidative damage to sperm DNA. Oxidative stress from environmental toxins contributes to a decrease in sperm number, motility, and may inhibit the fusion of the female egg and sperm at the time of conception. Even moderate alcohol consumption can affect fertility! One study found 430 female partners of couples planning a pregnancy who consumed alcohol while trying to conceive had difficult conceiving over 6 menstrual cycles, compared to women who abstained from alcohol. Not only is alcohol and tobacco a problem; environmental pollutants and toxins, which we are exposed to everyday, disrupt our hormonal system. These are known as endocrine disruptors. These endocrine disruptors such as pesticides, detergents, surfactants and industrial compounds interfere with the development of female eggs, male sperm and hormones. They have detrimental effects on fertility not only by increasing oxidative stress but also by mimicking hormones and interfering with healthy hormonal patterns in men and women. When women come to my clinic for assistance in enhancing their fertility, I ask where is your partner? After all he is 50% responsible for the pregnancy. When it comes to male fertility the evidence tell us that men are not consuming adequate nutrients for healthy sperm. As the saying goes it takes two to tango. Unfortunately, the male side of the story is often neglected. Both of you need to start with a good organic eating plan rich in anti-oxidants, include yellow-green, red, orange, blue-purple fruits and white vegetables making your plate colourful. Incorporate lean proteins and fats such as avocado, coconut, virgin olive oil, flaxseed oil, salmon, chia seeds, brazil nuts and walnuts. Lose some weight if you carrying a little too much and get your body moving! When planning to have a baby, whether IVF or natural, not only is it important to make the right financial work plans and nursery plans but also consider the right DNA and detoxification plan before you conceive. Consult an experienced Naturopath who can guide you in the right direction. By doing this you will increase your chances of a successful healthy pregnancy with fewer complications and a happier, smarter baby. Cleanse the liver – assist your body eliminate toxins by using specific herbs and nutrients to assist the liver. So why not take a few months to prepare your body for pregnancy and pass on your best genes not your toxic ones! Check your current state of health!